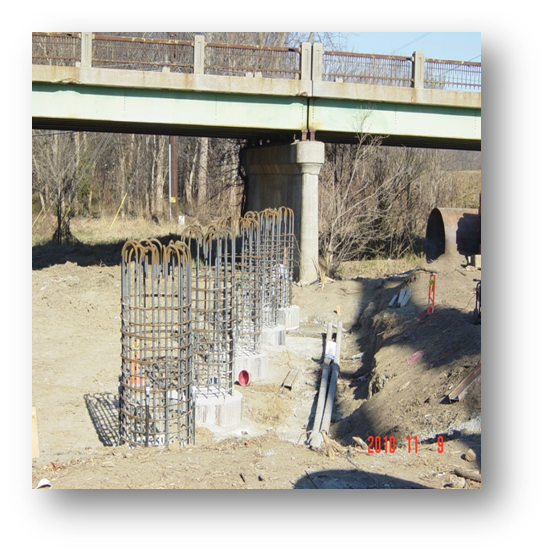 In late summer of 2010, construction of a new 1,074 ft. long six-span bridge on SR 39 over the White River was underway. Hayes Drilling, Inc. was contracted by American Contracting, a Jeffersonville, IN contractor to install 25 drilled piers. Each location required 60” diameter permanent casing and 54” diameter rock sockets. In October, 2010 a Soilmec 622 drill rig was mobilized. With the use of a model HPSI 500 Vibratory Hammer, the 60” permanent casing was driven through the overburden, which consisted of a sandy loam, sand, and gravel material. The permanent casing ranged from 70’ – 82’ in length. The rock sockets, which consisted of inter bedded limestone and shale ranged from 10’-20’. A total of ten drilled piers where installed inside a three-sided cofferdam. 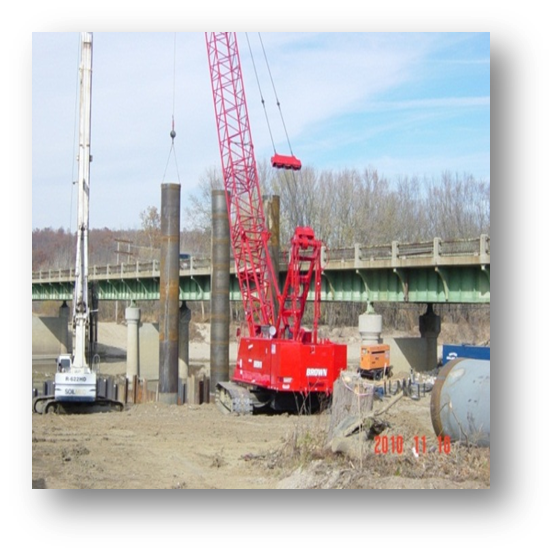 The INDOT specification call for all drilled piers to be CSL tested. Construction of the drilled piers was completed in early February, 2011.